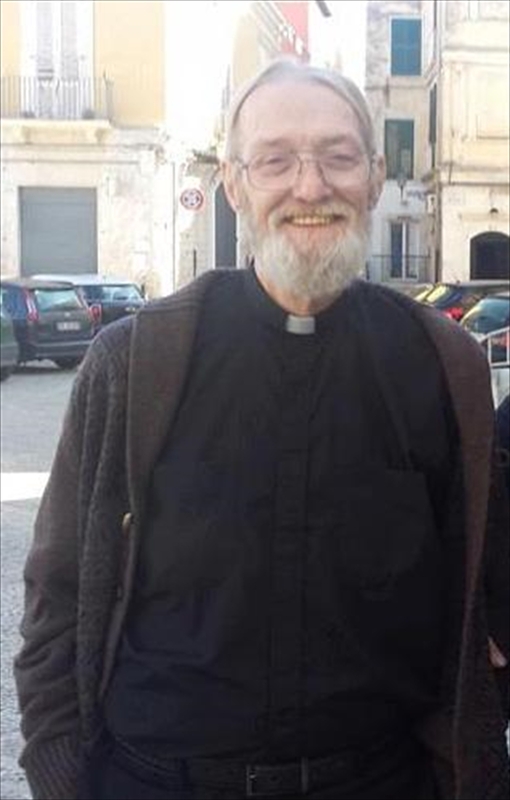 The Association Luisa Piccarreta is experiencing today one of the saddest and very touching moments, because it is mourning the death of Fr John Olin Brown, an American priest who, right here, in the land of Luisa, was ordained a priest by swearing his loyalty to the Divine Will. In fact, as noted by His Excellence Giovan Battista Pichierri" at the times of Monsignor Cassati, father John landed in Italy from the United States of America, to deepen the spirituality of the Servant of God Luisa Piccarreta"; twenty years later, returned to our diocese and has not survived a serious lung infection, and right here he made his encounter with the Divine Spouse. Let’s pray that all his human acts will be sealed by the Divine Will, and as he broke the bread with the yeast of the Fiat, the doors of the Kingdom can be opened to him. The Archbishop also announced that the funeral will be held Monday, Aug. 22 at. 10.00 a.m. in Corato, at the Parish Mater Gratiae, Oasis of Nazareth..